PSG will be without its star man, who sustained a metatarsal injury late last month, for both legs of the last-16 tie. The Brazilian international is expected to return in April. 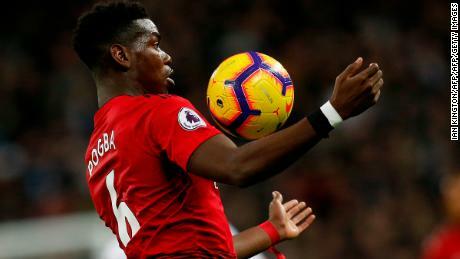 PSG faces a tough task to make it past United with the English Premier League team having been transformed by Soskjaer since he replaced former boss Jose Mourinho in late December. United has won 10 of their 11 games under the Norwegian and have surged into fourth place in the Premier League. Read: Is it time to sympathize with PSG’s Neymar? But while Neymar might be out of action, the French side has plenty of attacking talent to call upon including the supremely talented Kylian Mbappe. The France World Cup winning star has scored 18 league goals so far this season as well as three in the Champions League. 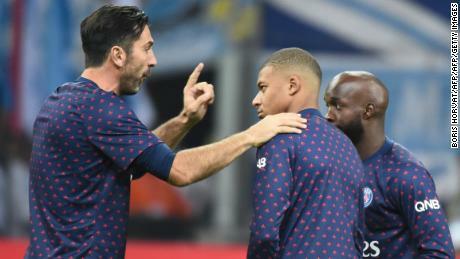 For Buffon, who left Juventus last July after 17 years with the Italian club, the opportunity to work with young players such as Mbappe was a huge draw. “It’s only normal that Kylian, who is 20 and thinks of me as a father figure or even a grandpa, but I think that’s nice,” Buffon said. “I’ve experienced so many wonderful things in my career. Firstly as a young, adolescent cocky player who was surrounded by older players and my mission then was to be accepted by them. “Then as a young man, and lastly as an older man who meets a young man who was just like me when I was the same age. “This is all part of the difficulties of life, and you understand how different people’s opinions are, and by changing your point of view over time you see how things can be different. But I must say it’s all part of the rich fabric of life. While Mbappe may have several more opportunities to win the Champions League, Buffon’s future is more uncertain. Though wholly committed to the club until the end of the season, the 41-year-old remains unsure of how long he will play on for. “I don’t know,” Buffon, who signed a one-year deal and has an option for a further 12 months, said when asked about his future.